It’s quite simple. Like I said earlier, Apple wants to get its cut from apps by enforcing in-app purchases through them. The option to purchase outside the app is possible too, but in-app purchases must meet Apple Guidelines. According to a report from the New York Times, Apple seems to have changed their policy on in-app purchases when it comes to content providers. 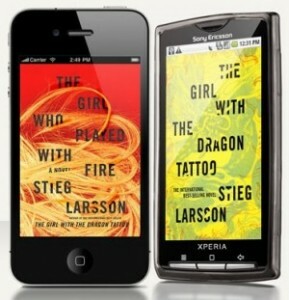 The story reports that Sony’s iPhone app was rejected because it did not meet Apple’s guidelines. Apple rejected Sonyâ€™s iPhone application, which would have let people buy and read e-books bought from the Sony Reader Store. Apple told Sony that from now on, all in-app purchases would have to go through Apple, said Steve Haber, president of Sonyâ€™s digital reading division. The move could affect companies like Amazon.com and others that sell e-book readers that compete with Appleâ€™s iPad tablet and offer free mobile apps so customers can read their e-book purchases on other devices. An iPad owner, for instance, has not needed to own a Kindle to read Kindle books bought from Amazon. If Sony wants to play with over 100 million iOS devices, it will have to revise its application to meet App Store guidelines. It would be obvious that Apple wants to push its own iBookstore, instead of having users buy books elsewhere. What about users of the Amazon Kindle app? If that popular app is removed I know many people would be furious.